Pain management care for pre and post-op amputee pets has made great strides and it’s improving all the time but sadly, not enough veterinarians are following the newest pain management guidelines. 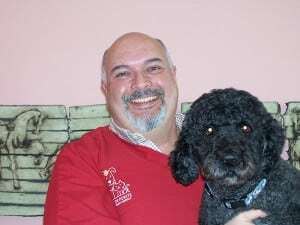 Thank Dog for veterinary pain relief experts like Dr. Mike Petty, DVM, CVPP, CVMA, CAAPM, CCRT. He’s one of the vet community’s brightest stars when it comes to pain management help for animals. As a world-renowned expert on veterinary pain management, founder of Arbor Pointe Veterinary Hospital in Michigan, a faculty member of the Canine Rehabilitation Institute, immediate-past president of the International Veterinary Academy of Pain Management (IVAPM) and co-author of the 2014 American Animal Hospital Association Pain Guidelines (among many other distinctions), Dr. Petty’s steadfast and heartfelt dedication to pain relief is creating better lives for pets and humans alike. Today we are thrilled to present the following guest blog post about pain management for post-op Tripawd dogs and cats, which Dr. Petty wrote just for our community! This, along with his upcoming book for dog parents, “Dr. Mike Petty’s Pain Relief for Dogs,” is a must read whether you have a three or four-legged pet. In the intervening 35 years, there have been vast improvements in pain management, but this rather offhand attitude toward an animal’s reliance on its other limbs post-amputation is still quite prevalent. This attitude has got to change, especially among the boarded surgeons who perform the majority of limb amputations. Another prevailing belief that has survived from my time in veterinary school is to eliminate as much of the amputated limb as possible. The rationale is that if a limb is removed, it is best to cut as high as possible so that the animal doesn’t forget it is gone and attempt to use the remaining portion, causing damage to the end of that limb. Some veterinarians, especially those in rehabilitation like me, are becoming aware that taking this approach is actually doing a great disservice to the amputees. Just as in human medicine, our pets benefit from salvaging as much of a limb as we can, vastly increasing the post-operative prosthetic options available to them. Tripawd Fritz wears prosthetic limb. An additional post-operative problem these patients and their caregivers encounter is the lack of veterinary support once the sutures are removed. People expect these animals to get by on their own, making do the best that they can with their new life circumstances, and rarely obtaining assistance with prosthetics and rehabilitation. Pain control beyond five days of NSAIDs for the post-operative period is seldom provided either, yet these animals experience pain issues for several months, even with a prosthetic, as they learn to use the device properly. I wish I could help everyone with a tripod pet to go back in time and redo it properly. Certain conditions can still be corrected, but some developed pain issues become very hard to treat over time. For those of you anticipating an amputation for your pet, I can offer some advice for you as your surgery date approaches. If your pet has not yet lost a limb, the first thing you need to do is contact a reputable prosthetic maker. Do not work with a prosthetic maker that sells them “prêt-a-porter,” right off the rack. All prosthetics should be custom made. My two favorite prosthetic makers are OrthoPets based in Colorado, and K9 Orthotics and Prosthetics based in Nova Scotia. Make sure they either contact the surgeon directly or send him their “wish list” of how they would like the amputated limb to look after surgery. Madison wears orthotic dog boot. Ask what they are going to do for pain control during surgery. Local and regional nerve blocks with a drug called bupivacaine completely stop pain signals from reaching the brain and spinal cord when working on the front limbs. If it is a hind limb amputation, they should also use an epidural and local block. In either front or rear limb amputation, something called a “Constant Rate Infusion” or “CRI” should be administered as well. A CRI typically contains one to four different pain medications and is dripped in through an intravenous catheter before, during, and immediately after a surgery. In the immediate post-operative period, NSAID’s. For dogs a long-acting opioid such as Recuvyra, or a fentanyl sustained-release patch or for cats an injection of Simbadol a 24 hour opioid that can be repeated with additional injections or sent home with an oral equivalent, and a drug called gabapentin, which helps shut down some of the pain signals to the spinal cord, are all drugs that should be considered. As soon as healing is complete, or as directed by the prosthetics maker, get fitted for the prosthetic and start rehabilitation. Expect this to take biweekly visits–perhaps more early on in the process—and that it may take several months to get everything just right. But what if your dog has already had an amputation? Depending on each case, there may several issues involved. Chief among them are two problems. The first and most difficult to manage is the development of something called hyperalgesia—an increased sensitivity to pain—that is the result of enduring, untreated pain conditions. The second issue I often see in amputees is something called Myofascial Pain Syndrome (MPS). This painful condition can often become the primary source of pain, and may not even occur in the affected limb, but elsewhere as a result of attempts to compensate for the missing limb by subtly (or sometimes not so subtly) shifting weight to the “good” legs. I make sure that I am correcting the underlying cause of the initial pain, if still present. I use gabapentin, a drug that not only blocks pain signals, but actually modulates a brain cell called a glial cell, which is implicated in chronic pain states. I use amantadine, a drug used primarily for treating Parkinson’s disease, to shut down a pain pathway within the spinal cord called the NMDA pathway. 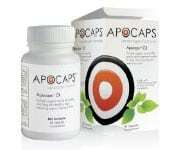 I use an NSAID to help control pain and inflammation at many levels of the pain pathway from nerve ending up to the brain. Pain treatment and prevention is a complex issue for our pets with amputations, as you can see by the length of this text, which has barely scratched the surface. It is my sincere hope that this blog post will open a conversation between you and your veterinarian, and help you get the necessary treatment to resolve any pain your pet might experience. It’s Tripawd Heroes and Angels Calendar Time! Thanks Rene! That’ll be a great radio show! WOW!! What an eye opener! Quite a differnet path from the current way of doing things! Leave as much of the limb as possible…continuing pain meds for longer periods than just the “average” two weeks…all very, very interesting! Jerry, I remember when Happy Hannah was having such a tough recovery and at approximately two weeks she had tapered off her pain meds. This was based on the “norm”that at suture removal time, dogs shouldn’t need pain meds anymore…per the surgeon too. FORTUNATELY, you’d seen enough first hand experiences to know better and suggested I keep her on pain meds a bit longer. I did and it made all the difference in the world! Yet more proof that this site, and the information brought to us by Jim and Rene through blogs like this, should be REQUIRED for anyone faced with this journey!!! PS..One issue I would like to have seen Dr. Petty address is the risk..pretty big risk…of damage to the stump and constant risk of infection, sores, etc.